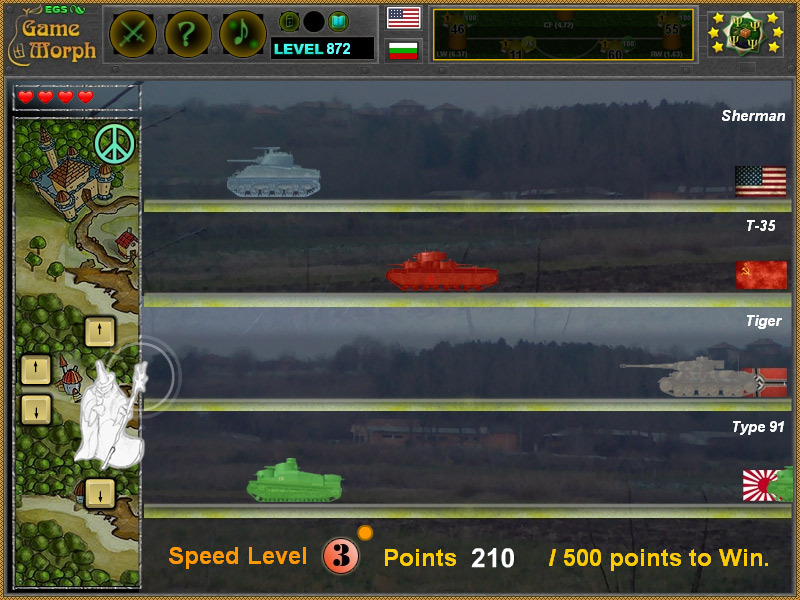 Top 4 most powerful tanks from World War II in a fun history learning online game. 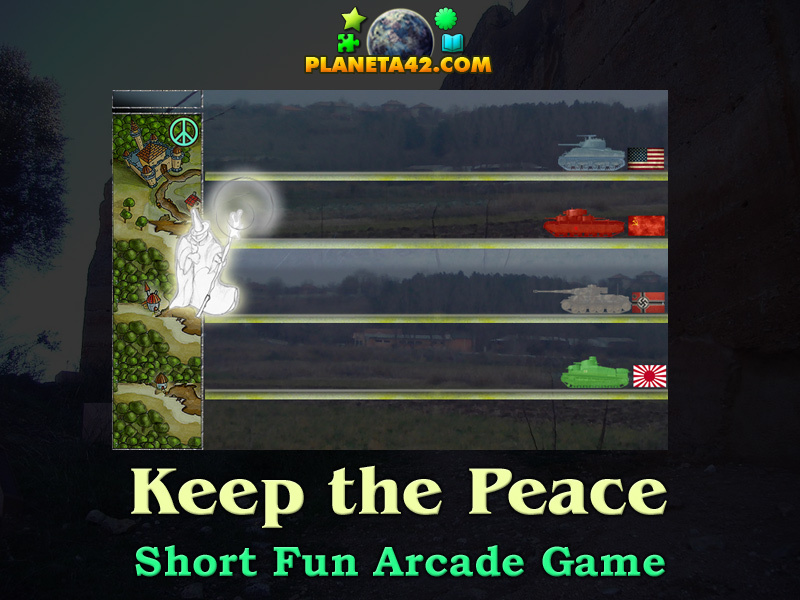 "Keep the Peace" is a free online knowledge level game, about 4 greatest tanks from World War II. Move with arrow keys and do not let any tank to pass. A short arcade game for desktop computers, laptops and tablets, which may be played in the web browser. The History Knowledge Board include 4 scary tanks to play with. Which were the top 4 most powerful tanks in World War II? How to play Keep the Peace Online Game. but for every 100 points, the speed of the tanks will be increased. Know at least 4 tanks from WW II. Class subject: World War II tanks. This game meet us with 4 notable tanks from WW 2. 1. M4 Sherman American tank, early production vehicle, 32nd Tank Battalion of the 3rd Armored Division, Normandy, 1944. 2. T-35A Russian Tank, 34th Tank Division, 8th Mechanized Tank Corps, June 1941. 4. Type 91 Heavy Japonese tank.